« Can Freightliners be Hacked? Brake Safety Week, run by the Commercial Vehicle Safety Alliance (CVSA), is from September 11 to 17. During this week, law enforcement agencies across the country will be conducting inspections on large trucks and buses to make sure that the brakes are in good condition. They’ll be checking for brakes that need adjustment as well as brake-system and anti-lock braking system (ABS) violations. Make sure that you’re staying safe and don’t get caught with subpar brakes! Here are a few tips to make sure your freightliner is up to snuff. During Brake Safety Week, inspectors will be looking for specific things. Here are what they’ll be checking and what you can do now to make sure you make the grade. Loose or missing parts. Do you notice any strange noises when braking or does your truck otherwise not seem to brake properly? You may be missing some parts or have some loose parts. If it’s been over 15,000 miles since your last service, make some time to bring your truck into Baltimore Freightliner for some brake maintenance. Air or hydraulic fluid leaks. At best, you can be losing money on fluid top-ups if you have a hydraulic fluid leak, and at worst, you can be putting yourself and others in danger. Worn linings, pads, drums, or rotors. Any of these parts that are worn affect your ability to brake and can especially put a heavy vehicle at risk of an accident. If your freightliner is making any scraping or other strange noises when you brake, then you may need something replaced. ABS malfunction indicator lamps. Is your ABS light on? Come in to see us. Other faulty brake-system components. 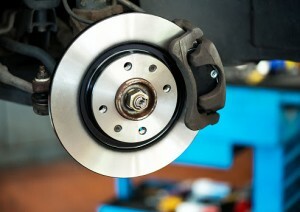 There may be other components of your brake system that are not working correctly or optimally. If it has been a while since your last service, or if you suspect that your brakes aren’t working properly, then it’s safest to schedule an appointment for service. This entry was posted on Friday, August 26th, 2016	at 2:21 pm	and is filed under Trucking News	. You can follow any responses to this entry through the RSS 2.0	feed. Both comments and pings are currently closed.